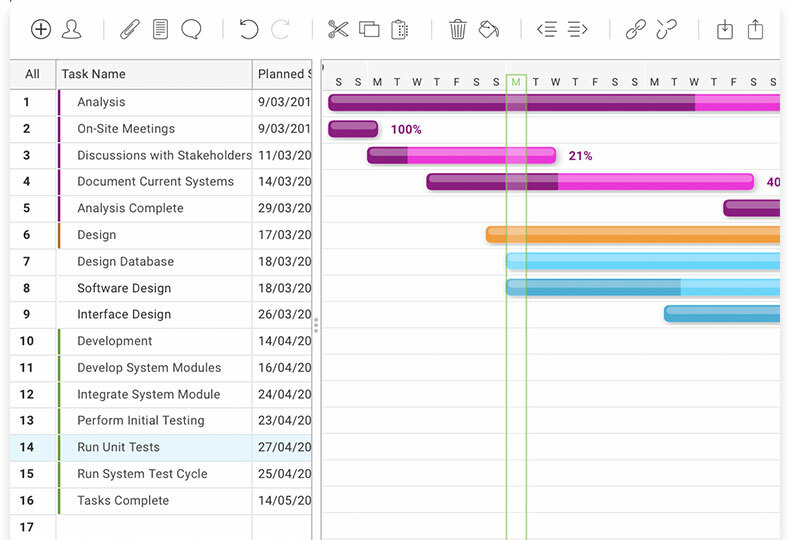 It’s easy to create Gantt charts in seconds, with our cloud-based, interactive planning tool. Plus, get advanced Gantt chart features that rival MS Project, without the cost or hassle of legacy tools. Anyone can use our software to plan projects, assign tasks, track progress and collaborate with teams. Add new tasks and due dates in the online spreadsheet to populate the Gantt chart. Plus, it’s easy to link tasks and create dependencies within and across projects. When one task is updated, all associated task deadlines are updated, too. Adjust start and end dates with a simple drag and drop action. Plus, customize your Gantt chart with color-coding and custom columns. Task management has never been easier. You and your team can attach comments, files and documents directly to the task line on the Gantt chart. When one team member updates a task, automatic email alerts are sent to update the right people at the right time. 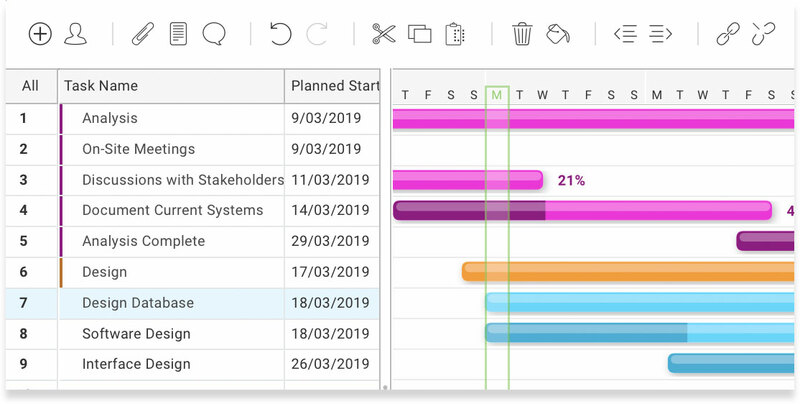 The Gantt tool is fully integrated with the real-time project dashboard, so as any one task is updated, the dashboard shows you the status instantly. 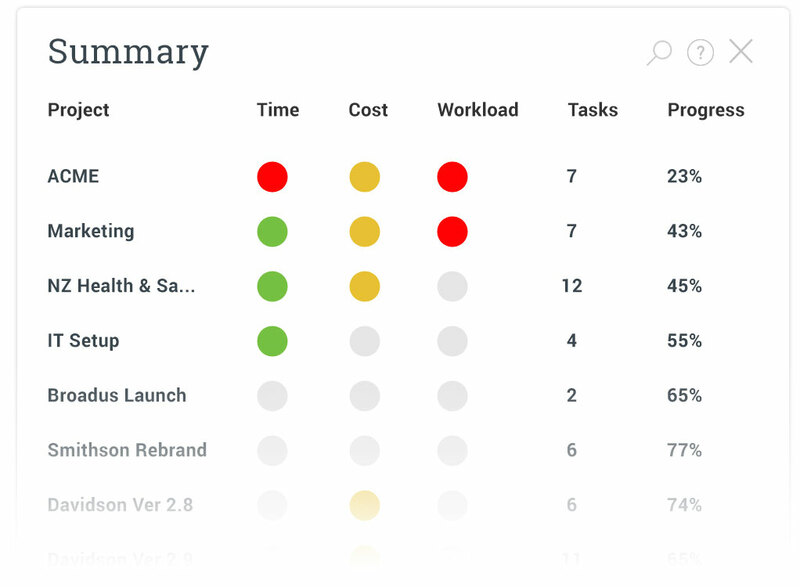 From task status to team workload, you’ll keep your projects on track every time. Import & export your Microsoft Project Gantt charts, or Excel and CSV files, to create your Gantt charts online and instantly know whether your projects are on track with the dashboard. Continue to use MS Project on your desktop, while sharing your plans online with your colleagues, without the hassle of Sharepoint. Our Gantt chart software offers the same features as MS Project, but fully online. No desktop or server installations required. You and your team can plan large or small projects, assign tasks, link tasks and more. There is no training required. ProjectManager.com is intuitive to use and easy to roll out to teams and project managers alike. Start planning your project in just 3 clicks. Add tasks and due dates, and watch as your Gantt populates timelines instantly. Assign tasks to your team, and watch as their tasks progress to completion. Share task updates and files right on the Gantt! Plus, discuss and get alerts. View progress on the real-time dashboards, or create one-click reports to share. Add important milestones to your plan to mark phases or events. Connect tasks to create dependencies so all linked tasks update too! Import & export Microsoft Project Plans or Excel files to your project easily. You can share your Gantt project plans online or print to PDF.